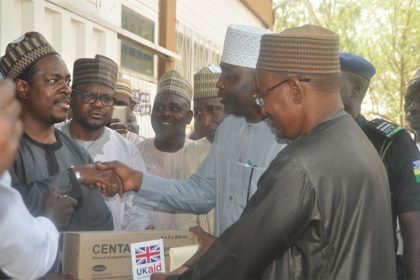 On the 16th of April 2018, MNCH2 participated in the flag-off ceremony to commence the distribution of drugs and commodities donated by the programme to Jigawa state. The Project Director and National Team Leader Dr. Jabulani Nyenwa handed over the items in a symbolic ceremony to the Deputy Governor Barr. Ibrahim Hassan Hadejia. 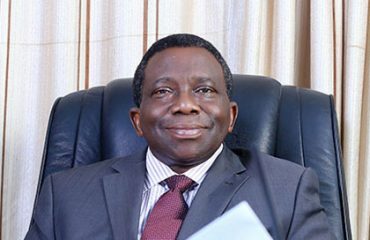 In his remarks, the MNCH2 Project Director said these items are meant to complement the state government’s effort and commitment to the reduction of maternal and children under-five deaths. In response, the Deputy Governor appreciated MNCH2 and assured the programme that the state will maintain consistency in its transparency, accountability and level of commitment for it to continue being considered as a partner by U.K government-funded programmes. The State Commissioner for Health, Dr. Abba Zakari Umar, informed the MNCH2 team that the government has recruited 530 healthcare workers, with a view to addressing the human resource for health gap in the state. He added that the state now conducts state outreach days, and this is a fall out of best practices learned from MNCH2’s intervention. Dr. Umar also cited the increase in the state’s allocation for the procurement of free MNCH drugs and commodities to 75 Million Naira monthly as a major indication of its commitment to sustaining the gains of the programme. 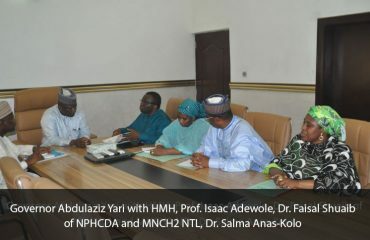 Rounding up the visits, the MNCH2 Project Director urged the state to ensure that the 162 PHCs supported by MNCH2 are beneficiaries of the N75 million budgeted monthly for free MNCH drugs. He encouraged that a tool to track utilization and minimise loses of commodities should be developed and offered the programme’s support for this purpose. 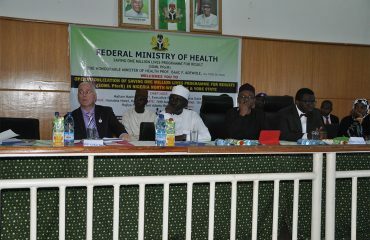 Jigawa State and MNCH2 free commodities: There are 657 public health facilities in Jigawa State. Before MNCH2’s intervention started in 2014, only 22 of these facilities were enabled to provide free MNCH services – 12 of these were secondary health facilities while the remaining 10 were comprehensive health centres. Currently, MNCH2 is supporting 162 Primary Health Care centres (6 in each of the 27 local government areas of the state) to provide free Reproductive Maternal Newborn and Child Health (RMNCH) services. As part of this support, the 162 facilities are beneficiaries of medical consumables, hospital equipment, and furniture, laboratory reagents, healthy timing and spacing commodities and outreach items. 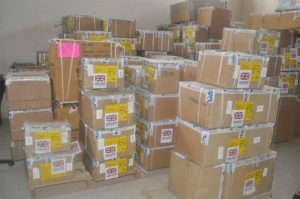 Drugs and commodities are warehoused in the State Central and Regional Medical stores and distributed based on demand and quantifications conducted by the programme and stakeholders from the State Ministry of Health and its agencies.